You’ve probably been making love with each other for many years and might question why you need to read an article about love making. Keep reading because we have some helpful surprises for you! You may have forgotten a few things along the way and there may also be some new things you’d like to try. 1. 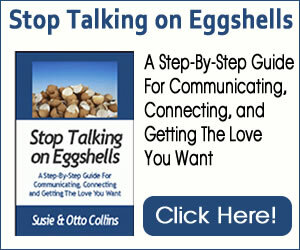 Create the time for love and romance in your relationship. Love making can be put on the back burner too easily as time slips away from you. Couples like this intend to get to it when life calms down. Like most people, you have to make the time in your life for what’s important to you. If intimate time together is important, create the time for it. If being spontaneous doesn’t work out, block out time for a “love date” and don’t allow other things to get in the way. 2. If you don’t feel like making love, honestly communicate with your partner and yourself. This may sound simple, but sometimes it isn’t. Physical ailments—real or imagined—are allowed get in the way of intimacy. There are also times when you are just too tired and love making is not on your mind. Whatever it is, let your partner know honestly and then make a “date” for a time when you know you’ll feel better or have more time to connect with each other. If you are really feeling disconnection from your partner, don’t use the old “I have a headache” excuse. Honestly facing the issue with your partner can help you feel better. 3. Focus on each other—let go of concerns about the kids or work. Wipe extraneous thoughts, worries and fears from your mind when you come together for love making. If this isn’t possible, let your partner know you need to clear your head. Then go take a walk or do something that will help. You may also need to deal with a particular issue or problem with your partner. Take care of that first, then focus on the love you have for each other. These are just a few ideas you can try to create more passion in your love making. Learning new skills and opening up to new ways to be together will help you deepen your connection.